Reading through the Wikipedia article about Gravity Turn, specifically the Use in spaceflight section, it seems that the Gravity Turn was not used in early spaceflight. Is that correct? For example, did the Vostok/Voskhod and Mercury missions make use of Gravity Turns during ascent? Did "they" instead go straight up, then turn and accelerate? Since when are Gravity Turns common? That section of the Wikipedia article is very poorly written, conflating interplanetary gravity assist in one case with gravity turns (prior to my ruthless edit), and should be in no way considered comprehensive, nor as a serious indication that gravity turns weren't used prior to Apollo. The early crewed missions (Vostok and Mercury) were flown on launchers that were based on ICBMs, which needed to achieve long downrange distances to perform their missions. Given that the ballistic and aerodynamic factors influencing rocket trajectories were well understood, there's no reason that gravity turns wouldn't have been used. 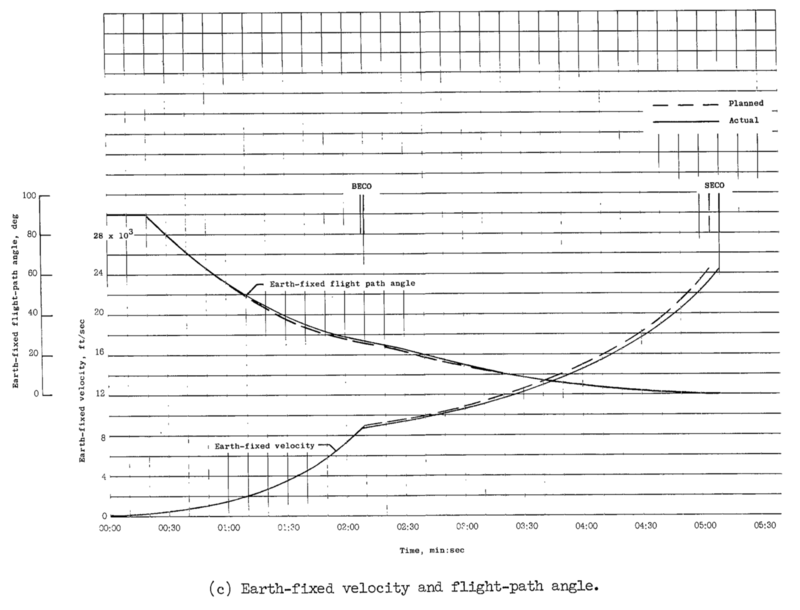 The timeline for Glenn's Mercury-Atlas 6 flight indicates that an 0.5 degree per second pitch program was flown starting at 16 seconds into the flight -- possibly not exactly a zero-AoA gravity turn, but necessarily pretty close to it; Atlas was a very fast launcher, so would have encountered very high atmospheric forces, and a significant angle of attack would have destroyed the fragile vehicle. No successful orbital launcher, to my knowledge, has ever gone up to altitude and then turned; it was well known that this was inefficient long before orbital launch was possible. Not the answer you're looking for? Browse other questions tagged history orbital-maneuver gravity-assist launch-trajectories gravity-turn or ask your own question. Why did NASA set up a computing facility in Bermuda in the Mercury epoch? How are rockets gimballed to produce a gravity turn for the space shuttle? Would a lunar or interstellar rocket use a gravity turn on take-off, today?